Even before my daughter could write I suggested that she keep a diary. I was her amanuensis. I remember on the first day when she asked me what she should say for me to write in her diary, I replied, “anything you did, or said, or thought, or wished.” Since then for several years I wrote as she spoke. Eventually she took over the writing herself but still sometimes asked me to take dictation so that she was not slowed down by her own hand. It has been eight years now since that first day and we love to read passages from over the years. Though many people now remember their younger days through photographs, the diary will capture what a thousand pictures cannot. Especially if those thousand pictures remain in memory cards in serial numbered folders. The diary on the other hand is ready and welcoming anytime, and will not oblige you to smile. It is very interesting to see what makes it into a diary. It is not always what one sets out to write. While writing one may probe certain details, follow runaway tangents and develop an idea over time. I am often surprised by the moments that prompt my daughter to pull out her diary. 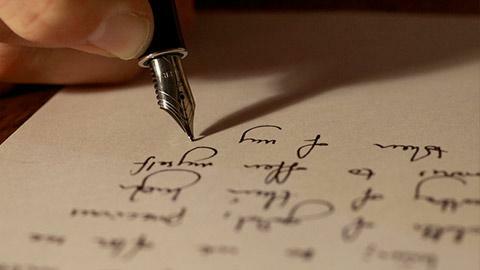 Writing makes it possible to acknowledge what made an impression upon you even if there was no one to tell. While the opening line, spoken by the haughty Gwendolyn in Oscar Wilde’s The Importance of Being Earnest, has been read as a satire of self-centeredness I have never met a writer who is not also an avid reader. There is a quality of thoughtfulness, a certain pause that comes from writing a diary. One is reading oneself.